Sign up to receive event updates and wellness tips. Move Your Body. Dance Your Dance. Brenda Loukes-Johnson creates a juicy free-flowing journey for each SoulDance session using voice and soul-stirring music, while drawing on her experiences as a dance instructor, Kahuna transformational bodyworker, and holding space for creative Soulpainting programs. What to bring: Please dress comfortably and bring a yoga mat, blanket, pillow, and water for hydration while lying in Savasana. Do you hear the Call of the Sisterhood? Are yearning for deep, meaningful connection with other women? Do you wish to take the time off from the ordinary to slow down and to create or co-create the Sacred? 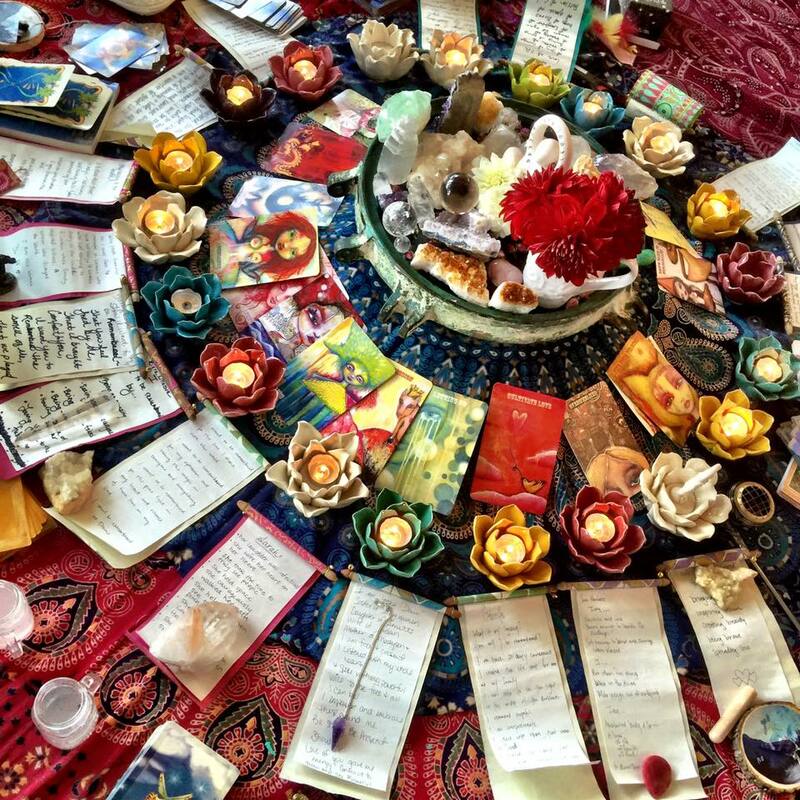 When women get together to create a sacred space to compassionately see and hear each other, to honor their stories, their bodies and the natural cycles, they magnify the power of their intentions and prayers. They energetically create a web of support for not only themselves but for the women everywhere. Women’s Circle at Cedar Sanctuary is based on the ancient practices of a Native American tradition of a Talking Circle. When women sit in the circle, they are all connected, and they are all equal. 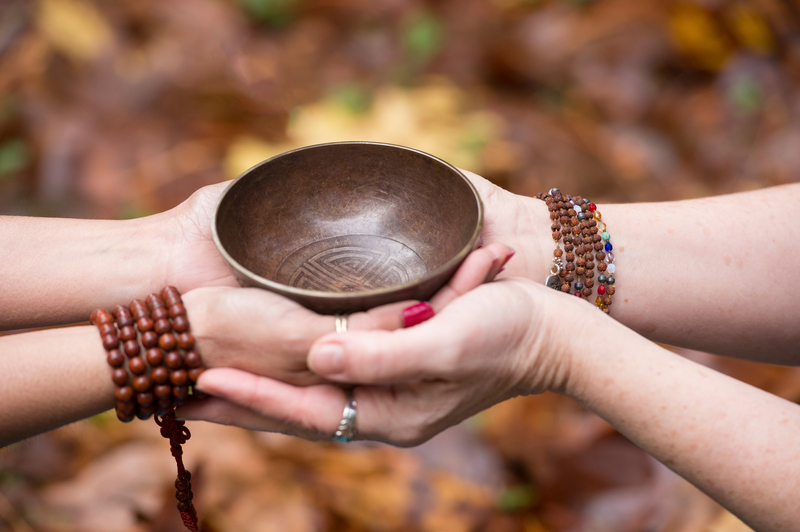 Sacred Medicine Bowl is used as a Talking Object and the main agreement is that whoever is holding the Bowl has all the attention of the Circle and can share from the heart. The others have an excellent opportunity to practice deep and compassionate listening. In the Circle women are healed, nurtured, comforted and truly seen. 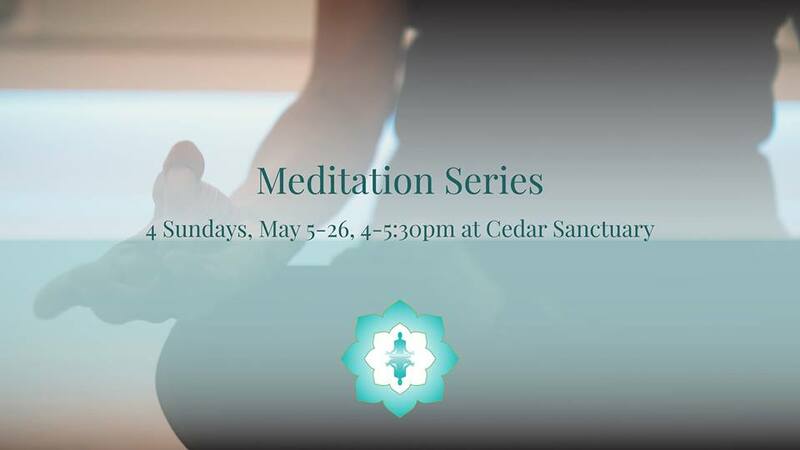 To be welcomed into a safe and nurturing space of Cedar Sanctuary. To spend several hours in the magical Circle Space lovingly adorned in the Way of the Beauty: luxurious textiles, candles, twinkling lights, flowers, nature objects and art. To be safely and lovingly held in the strong container of the Women’s Circle to connect, share, and learn. Please wear comfortable clothes – we will be sitting on the floor (back jacks, yoga mats, cushions and blankets will be provided), and adorn yourself. Top grade essential oils, flower essences, incense or medicinal herbs (Mugwort, Sage, St. John’s wort or others) might be used during the Circle. Drumming, dancing or creating art might be part of the Circle experience. 5:45 to 6:30 – Teatime & Socializing (please eat dinner before arriving). 9 pm – Tea (optional) and farewells. Please be respectful of the time and space and plan to leave by 9:30pm as Cedar Sanctuary is in a residential area. Thank you! Happy Guts Workshop – Back by popular request! Investment $128 (limited to 12 participants and pre-registraiton required). The Happy Guts class is based on the practice of Chi Nei Tsang developed by Taoist monks in ancient China. Modern Chi Nei Tsang is abdominal organ massage meant to aid elimination & detoxification while building gut health and vitality, stabilize our emotions, and has a grounding effect on our well-being. We live in a fast-paced stressful world. Fast food, prolonged sitting, and forever ‘to do’ lists, undigested ‘emotions’, and chemicals everywhere play havoc with our nervous and digestive systems. Overtime, our overall gut functioning, health and vitality are greatly affected. Gut function directly affects our basic levels of health, and we must become aware of ways we can maintain it ourselves. During our time together, you will learn a deeper understanding of how the digestive system works, what can go wrong, and how to support your own digestive health through manual self-care techniques of belly work. We will learn and experience the power of breath, gut awareness, and purposeful abdominal self-touch to reduce tension, pain, and discomfort. You will learn a ‘your hands on your gut’ self-care routine for daily use. This can be wonderful for family members, young and elderly alike. Learning resources will be provided. This self-care class by a licensed massage therapist is not meant as medical advice or as a substitute for medical care. please consult your health provider for advice on specific conditions. if you want to learn life-long tools to take care of and love your guts and diminish symptoms such as bloating or belly discomfort this class is for you. Tired of having the same conversations over and over again with your spouse or kids? Exasperated because yelling seems to be the only way for you to be heard? Annoyed that no one gets what you want or need? Confused or feeling helpless about your emotions? Feeling disconnected from others or yourself? If so, you are not alone! In the Present Communication Workshop, you will learn how to use empowering words to create harmony in your relationships and to ask for and get what you really want. The Present Communication Workshop is here to help you rid yourself of emotional toxicity and achieve more in life. For centuries, our culture has taught us all to think and speak in ways that can actually cause conflict and internal pain. Much of our communication is filled with judgement, demands and denial. It’s hardly surprising that so many of us experience confusion, frustration, anger and depression when trying to make ourselves heard and understood! Get what you want without resorting to shouting. Identify, articulate and finally get your needs met with love and affection. Embrace your emotions – all of them! Take control of your own happiness. Develop a complete sense of reconnection with your inner self. Reduce stress and enjoy better health. Using powerful techniques from Nonviolent Communication (NVC), by Marshall B. Rosenberg Ph.D and Free to Love, Free to Heal by Dr David Simmon, co-founder of the Chopra Center for Wellbeing, this workshop blends practical skills with powerful consciousness and vocabulary, teaching you how to achieve great things in life, peacefully and simply. The two-session, four step course will guide you gently through a series of skills and thought-practices, with the aim of bringing positive change into your life. You’ll be able to implement these teachings into your own life as soon as you like; and you’re likely to notice big changes almost immediately. As women navigate their 40’s, 50’s and beyond they begin to recognize a time of huge transitions. Changes present themselves physically, emotionally and/or spiritually. Shifting hormones create physical changes, while shifting roles (empty nest, care of elderly parents) create mental, emotional and spiritual changes. For many, we experience a time of re-evaluation of life’s priorities such as jobs, relationships, living with purpose, being more creative or becoming more spiritual. 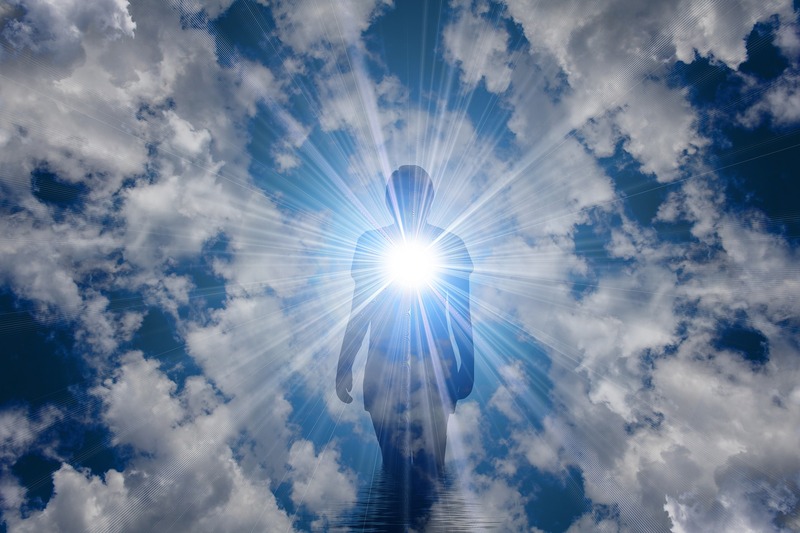 While it is a challenging transitional time, when embraced, can become a very liberating and empowering stage of life: A time of awakening to our sacred authentic self. We at Om & Ojas have created Sage Woman, a wellness program for women in their peri-menopausal and menopausal years. The teachings are rooted in ancient healing practices of Yoga and Ayurveda and supported by modern scientific research. The communities of women brought together through our program cultivate a life path of health, happiness and wholeness. Meditation practices for envisioning self as a Sage Woman. Register here for a fabulous deep inhale into the Sage Woman Retreat. How much of a good (and great) time, how much success and fulfillment, are you willing to have? How much are you willing to manifest in 2019? Most of us unconsciously sabotage how much fun, joy and success we experience day to day in leadership/work, life and love. 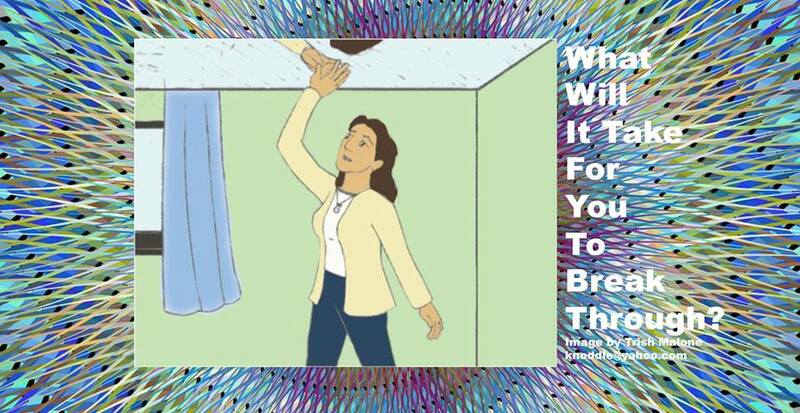 When we hit our self-imposed glass ceiling or Upper Limit (UL) of having a good time, we subconsciously create drama and problems to bring ourselves back down and create what is called an Upper Limit Problem (ULP, sounds like gulp) by Gay & Kathlyn Hendricks, www.Hendricks.com. Every egoic being has an Upper Limit. We got our first one installed by our family of origin, and our opportunity in this life is to continuously break through and raise it. Likely you have raised yours. And it’s also likely that you’ve still got a limit that’s lower than your soul can reach. Imagine having everything, absolutely everything your higher self wants, right now – do you start to get a bit fuzzy and dizzy? – if so, that is your UL in action. Learn to identify your ULPs, your habits and patterns, and to shift them, in friendly and fun ways. After all, blaming yourself for not raising your UL is really just an ULP too! This workshop will be held on Monday June 17, 7-9:30pm at Cedar Sanctuary, 21407 NE 6th Pl, Sammamish, WA 98074. The 2.5-hour workshop is $25 if paid in advance at www.PayPal.com/LaureliShimayo or $35 at the door. If you prefer an invoice, reach out to Laureli@Thrive-Wise.com or 720-352-2434. Laureli Shimayo has been teaching and coaching people for 10+ years. She is a graduate of Gay & Katie Hendricks’ 2-year Leadership & Transformation program. Laureli is a Body Psychology Coach, Intuitive Eye Reader, and Emotional Energy Healer. Learn more at www.LaureliShimayo.com. 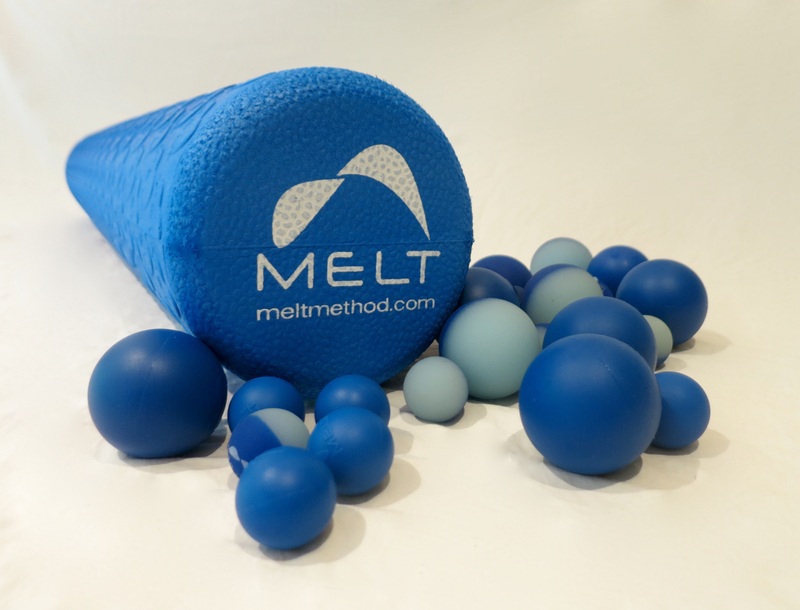 Whether you’re an athlete or someone simply looking to move with greater ease, restorative rolling using a soft MELT roller is complimentary to any wellness program, and a proactive approach to maintaining a healthy and active lifestyle. We will review the “MELT For A Happy Back Sequence,” including Mini Hand & Foot Techniques and a Rebalancing Sequence on the roller. Ayurveda Lifestyles Retreat – Back by popular request! Pricing & registration details coming soon! Got stress? Finally get your sparkle back! Doctors are increasingly citing stress as a major contributing factor to most illnesses today. Modern life can be stressful. Busy careers, complicated relationships and social demands can soon drain and tire you, leaving you feeling like your sparkle has gone. If you’re want to get back on track, get realigned and enjoy physical and spiritual balance, this retreat is for you! If so, then The Chopra Center’s Perfect Health Retreat is the answer to for you! Discover how to identify these imbalances in your life and create a personal daily routine that nourishes you. Finally release emotions in a healthy way and eliminate physical stress so your mind and body begin to feel at ease and relaxed. Experience health, vitality and happiness. 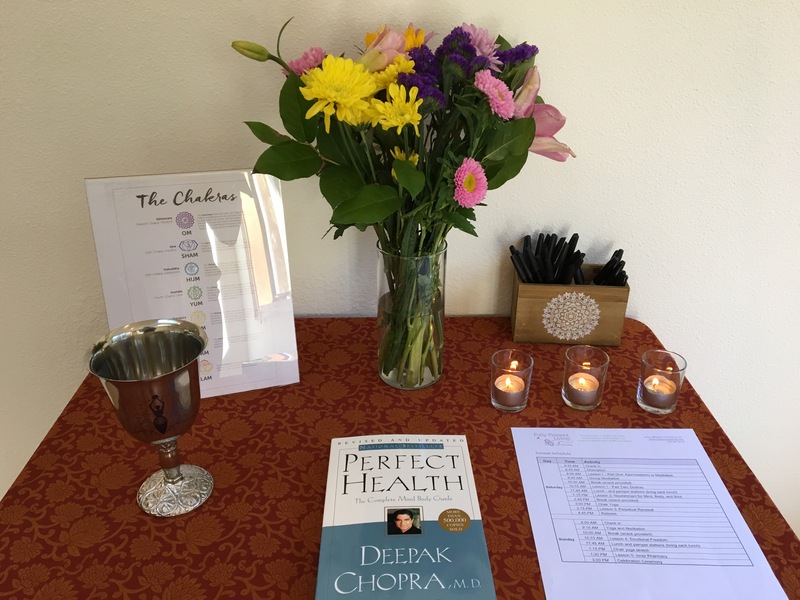 Based on the bestselling book “Perfect Health,” by Dr. Deepak Chopra, this 5-session retreat is led by Chopra Center Certified Instructor Tammy Steele who studied Ayurvedic practices at the Chopra Center for Wellbeing. Tammy is also Reiki Master and a professional certified holistic work/life flow Coach. You’ll find out how to reduce or eliminate the effects of stress. You’ll understand what foods help your body and which ones don’t. You’ll feel more emotionally and physically alive than you’ve felt in years! No previous jewelry making experience necessary! The Seed of Potential workshop is a journey of personal and group exploration, a guided creative process, culminating in the creation of a jewelry piece in fine silver. If you are experiencing life-changing events, or wanting to embark upon a New Vision for your life, the use of a talisman can be a very powerful way to anchor your transformational journey, and be reminded of those qualities you need to nurture in your “hero’s journey”. In many traditions, a talisman was worn for this purpose. I invite you to create your own Seed of Potential talisman. *will explore and be supported in identifying the “dragons” that stand in your way of becoming your magical self and how to use tools to face them on your path. * complete your own, UNIQUE piece to wear and TAKE HOME that may serve as an inspiration for your daily life. Titina van Hoorn is an artist, jeweler, life coach, energy healing practitioner, lover of words, dancer, mother and soul-seeker, who feels passionate about exploring the journey of the soul with all of its twists, turns and mysteries and supporting others who have chosen this rich path. More information at www.soulpiecejewelry.com or visit the Soul Piece Jewelry page on Facebook. Amigas is a multicultural community of women who know that there is more that connects us than divides us. We connect to grow meaningful and enriching relationships, create a sense of belonging for everyone, and have fun together. Stay-tuned for when we reschedule this fabulous program! Everyone has a story… what is yours? • When was the last time you stopped to take stock of your awesomeness? To pause and celebrate yourself and your journey? • How often do you acknowledge yourself and the gifts that you have shared with others in the milestones of your life: the highs, the lows, and all points in between? Imagine what it would feel like to grant yourself permission to rest, reflect and express yourself creatively. 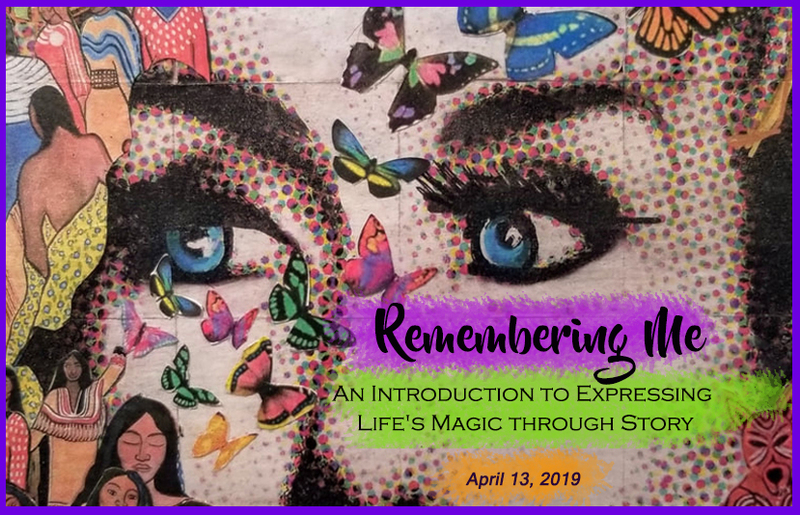 REMEMBERING ME is a three-hour experiential workshop when you get to dedicate an afternoon to remembering how remarkable you really are. • Connect with a community of like-minded women, listening and deeply sharing from the heart. • Experience meaningful insight through guided meditation, journaling, and potent conversations. • Easily create a piece of art to express your story – no previous art experience needed. • Express yourself in writing with effortlessness, ease, and joy…whether you’re a seasoned writer, or this is your first time writing a story about your life. Create this time for yourself. Give yourself the gift of exploring the stories of your life and connecting the dots in your experiences and gifts! Barbara Krauss is a STORYOGRAPHER. Her work is an organic blend of creating and writing stories, gathering stories of others, and giving them a voice. Combining her expertise in coaching/mentoring, inspirational teaching, motivational speaking and facilitating workshops, she powerfully holds space where creative engagement thrives. 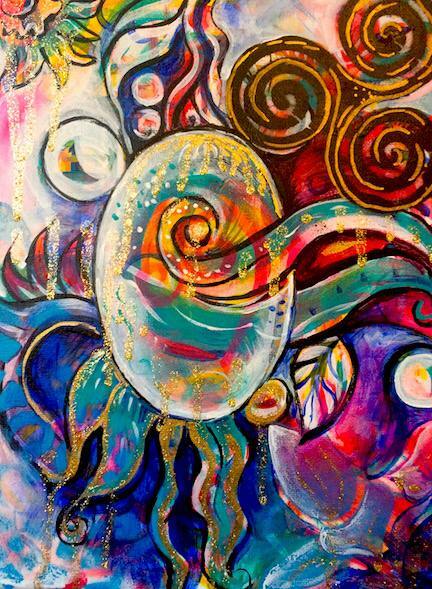 She is most alive when enraptured by the organic flow and freedom of immersion in creative expression, and invites others to join her in this realm. A mixed-modalities afternoon of necessary indulgences and modalities. Our most recent program included Aromatherapy, MELT Method, Gyrotonic, and a Gong Sound Bath. Heavenly! Schedule your own Relax & Renew Program. ⇒ Join our mailing list for updates or contact Susan Creighton to schedule your own event.